ORLANDO, FL. 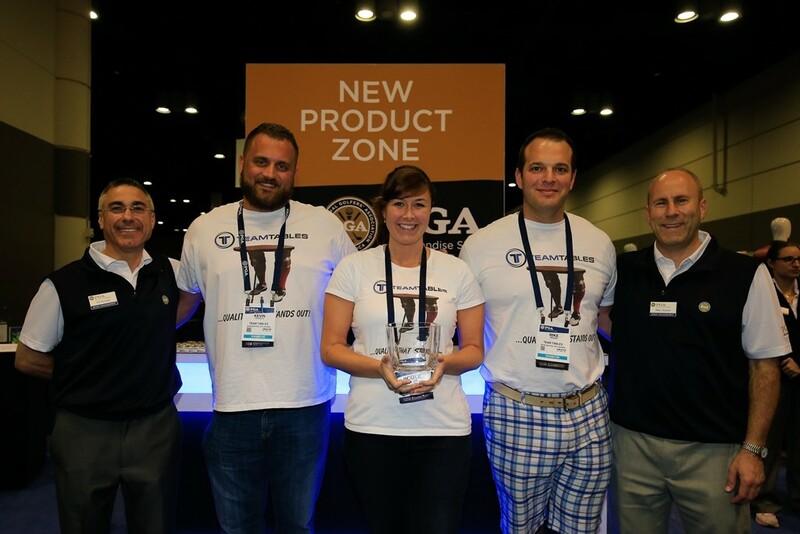 – The 63rd annual PGA Merchandise Show featured more than 42,000 golf industry professionals from 91 countries around the world. Over 1,000 total exhibitors—including 284 new ones—participated in showcasing their enterprises. The event took place at the Orange County Convention Center West Concourse Exhibit Hall—a venue that hosts 1 million square feet of floor space. Team Tables Ltd. decided to participate in this event not knowing what to expect and we had no idea that there would be this much to see from the world of golf. Throughout the week we had an opportunity to meet a long list of PGA celebrities, instructors and other special guests. More importantly we met some amazing vendors, customers and new retail partners! There was certainly no shortage of media coverage at this event either. More than 1,000 media sources came from 23 different countries to help exhibitors get the word out about their brand. The most exciting news for Team Tables was winning the ‘Best New Product Award’ from the 2016 New Product Zone. Award-winning PGA Professionals as well as top golf buyers decide on who they believe deserve to win this prestigious award. We had a great time at the 2016 PGA Merchandise Show and we look forward to attending next year.